﻿﻿﻿﻿﻿TPWD’s next half-century will be shaped by today’s vision and groundwork. ﻿﻿﻿﻿﻿If you pay any attention to birthdays, wedding anniversaries or any of life’s other milestones, you certainly know that 50 is no run-of-the-mill number. Reaching it in some facet of one’s life is always a cause for celebration. We at the Texas Parks and Wildlife Department agree, so this issue celebrates the 50th anniversary of how TPWD and its partners have been making life better outside for generations of Texans — past, present and future. ﻿By any measure, the department’s past is a colorful one, including the events leading up to the merger of the State Parks Board with the Game and Fish Commission. One account attributes the merger’s genesis to an infamous encounter between Game Warden Grover Simpson, then-U.S. Sen. Lyndon Baines Johnson and a powerful county judge. Another one references the political contretemps between the Game and Fish Commission and the influential Brown and Root corporate board over bay dredging practices surrounding Galveston Bay’s oyster reefs. And still yet another story attributes the creation of TPWD to former Gov. John Connally’s push to modernize state government and to rein in its various bureaucracies. Regardless of the reasons, there was a lot of angst over the deal. Ben Vaughan III, a prominent Austin-area rancher and lawyer, is the son of the late Ben Vaughan Jr., who was the chairman of the Game and Fish Commission immediately before the merger. As Vaughan recalls it, his dad was none too excited over the prospect. It was nothing against the parks, Vaughan said, but his father and other sportsmen had worked hard to build up the financial footing of the commission, and they were concerned about having their wagon hitched to the cash-strapped parks system. No doubt, those on the parks side of the equation had their own suite of misgivings about the merger. With time on my side, I’d have to argue that one would be hard-pressed now to oppose the deal. The outcomes speak for themselves. The state park system has more than doubled in size and serves as a valuable portal for anglers, hunters and outdoor enthusiasts. World-class fish hatcheries have been built, and the state’s freshwater and saltwater fisheries are the envy of the country. Redfish were saved from the gill-netters, brown pelicans were taken off the endangered species list, and bighorn sheep now roam West Texas mountains in numbers comparable to those of the late 1800s. 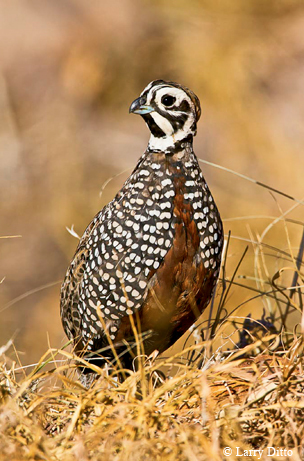 More than 29 million acres of private lands are under voluntary wildlife management plans, and hundreds of thousands of acres of marshes, grasslands, wetlands and forests have been restored. Thanks in no small part to the proud work of TPWD biologists, technicians, park rangers and game wardens, we enjoy an outdoors that is second to none. Texas harbors more bird, butterfly and reptile species than any other state and the second-highest number of species of plants and mammals. More than 8 million people enjoy Texas state parks every year, and 2.7 million hunters and anglers help support more jobs than the state’s three largest employers combined and contribute to the state’s economy nearly twice the amount generated from receipts for cotton, the state’s largest agricultural commodity. And, don’t forget about nature tourism, which helps to sustain communities from Quitaque to Rockport and beyond. In short, there is much to celebrate ecologically, economically and recreationally. But, one might reasonably ask, what will the next 50 years at TPWD hold in store? For starters, our mission won’t change. Our work with partners to steward the state’s lands, waters, fish, wildlife and parks and to promote outdoor recreation for all Texans, young and old, rural and urban, is every bit as compelling as it was 50 years ago. What will change, however, is how we go about implementing that mission. We can’t and won’t rest on our laurels. The state is growing by leaps and bounds, and TPWD must contend not only with burgeoning pressures on our fish and wildlife populations and their habitats, but also with a citizenry that is more urban, more diverse and more disconnected from the outdoors than any previous generation. The complexity and scale of these ecological and demographic changes are unlike anything we have experienced before. As anyone in the trenches will tell you, the window for sustaining the wild things and wild places we value isn’t getting any bigger with the passage of time. As a foundation, the agency’s Land and Water Plan articulates our strategic vision for how we will move forward in such dynamic times. Within that plan, there are four overarching goals that TPWD’s programs and actions support. Those key goals are backed by clear objectives, measurable actions and performance goals for all staff, and are aimed at ensuring the long-term health of our fish and game and making the outdoors more accessible and enjoyable to Texas families. First among those goals is our commitment to innovation in science and applied stewardship. Given the escalating challenges to our natural resources, if we aren’t on the leading edge of both, we’ll quickly be lagging behind. Our work by necessity must be ever-evolving, interdisciplinary in nature and practice, tangible in outcomes and capable of functioning at scales that transcend our own fence lines at parks and wildlife management areas. Private landowners are, and must continue to be, at the center of our work, along with water conservation, which certainly will be the defining natural resource issue for our state. Equally as important, our applied fisheries and wildlife conservation work must translate into solving real-world problems. That is true whether we’re developing a new toxicant to control feral hog populations, pioneering propagation techniques for game fish production, experimenting with unmanned aerial survey technology for animal population censuses and habitat assessments in remote places, developing early-response and rapid-detection systems to stop the spread of harmful exotic species, perfecting new prescribed fire regimens to restore habitats and to reduce the risk of wildfire in sensitive areas, or using new technologies to catch the poachers who steal the public’s fish and game. As the state grows in population, so too does the demand for quality outdoor experiences. Promoting, increasing and diversifying those recreational opportunities, both on land and on water, is our plan’s second major emphasis. Linking the value of outdoor recreational experiences to other statewide public health, education, community development and economic goals will take on added significance in coming years. Clearly, your state parks will continue to play a prominent role. To address the problem of aging infrastructure in the parks and to effectively compete for a slice of the public’s leisure time, we’ll have to make transformative capital investments to achieve the highest-quality state park system our citizens desire. 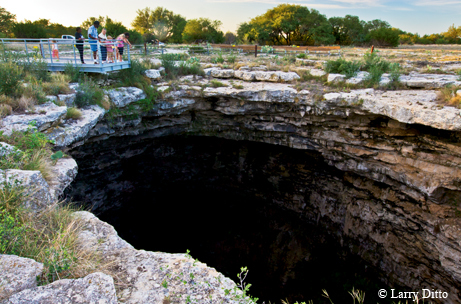 Other actions must involve opening up our new sites at the Palo Pinto Mountains west of Fort Worth, the Kronkosky State Natural Area in the Hill Country and the Devils River in West Texas, as well as significantly expanding others. To be truly successful in improving recreational opportunities, much of that opportunity must occur at local levels. TPWD must serve as a catalyst and contributor to those efforts. We’ll be looking to partner even more with local communities, landowners and businesses to foster more recreational opportunities in places that are proximate to where people are. Networks of hiking, biking, birding, boating and paddling trails should be part of every community, as should neighborhood fishing ponds, archery and shooting ranges, and nearby places to hunt, fish and watch wildlife. Third, just as all politics are local, so is the best conservation. Facilitating meaningful connections with and support for our state’s proud conservation heritage must involve buy-in, ownership and leadership from local communities. Not only do we aspire to have more hunters, anglers, park-goers and outdoor enthusiasts, but we want all Texans to embrace conservation as a core value and an indispensible economic and natural asset for their long-term health, well-being and vitality. To accomplish that goal, we’ll have to refine and strengthen our education and outreach programs and deliver them in even more targeted ways to attract more diverse audiences, to engage entire families, to help break down barriers to recurring and lifelong participation in outdoor activities and to make nature an everyday part of every Texan’s life. And, at the risk of sounding heretical to advancing our outdoors-oriented mission, we’ll have to embrace technology even more. Most young Texans from here on out will have their first encounters with nature not in the woods or on the water, but through a virtual encounter by way of an iPad, smartphone, Web platform or some other technological connection not even contemplated right now. Our focus must be to use technology aggressively to spark their interest in nature and to encourage them to spend more time out in it. Last, and certainly not least, we must figure out how to pay for it all. The user-pay, user-benefit model of conservation we’ve embraced for decades is a good one, but it may also be an unsustainable one if we are to meet all that is ahead of us. The challenges facing our fish, wildlife and parks seemed formidable at the time our funding model was developed, but those issues pale in comparison to what we face today. 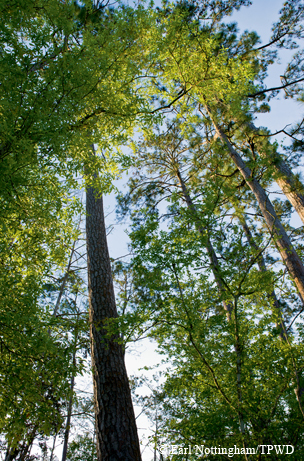 The benefits of conservation touch the quality of life of every single Texan, and all Texans should have an opportunity to invest in the future of their home ground. I’ll close with this. The essential work of your Texas Parks and Wildlife Department will always be measured in generational terms, not in short-term fiscal cycles. In many ways, it is tantamount to the timeless parable about planting a tree so that someone else can enjoy the shade it ultimately provides. On behalf of all of us who work for you at your Texas Parks and Wildlife Department, we are proud to have helped make life better outside for the last 50 years. Rest assured, we look forward to the next 50.